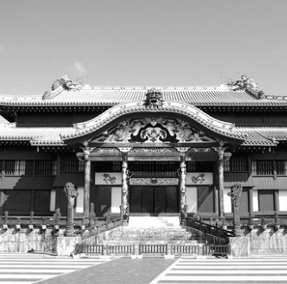 Ryūkyū Kingdom (琉球國) was established between 14th & 19th Century. .
Ryukyu Kingdom enjoyed a lengthy period of prosperity from the 14th Century building close trade relationships with Japan & China. . This Golden Age ended in 1609 when Satsuma the lord of Satsuma clan sent an expedition to invade the Islands. From this date, Ryukyu Kingdom was placed under Satsuma clan authority. Following the war between China & Japan (1872-1879) Ryukyu Kingdom was formally abolished and annexed by Japan . Okinawa prefecture was put in place.